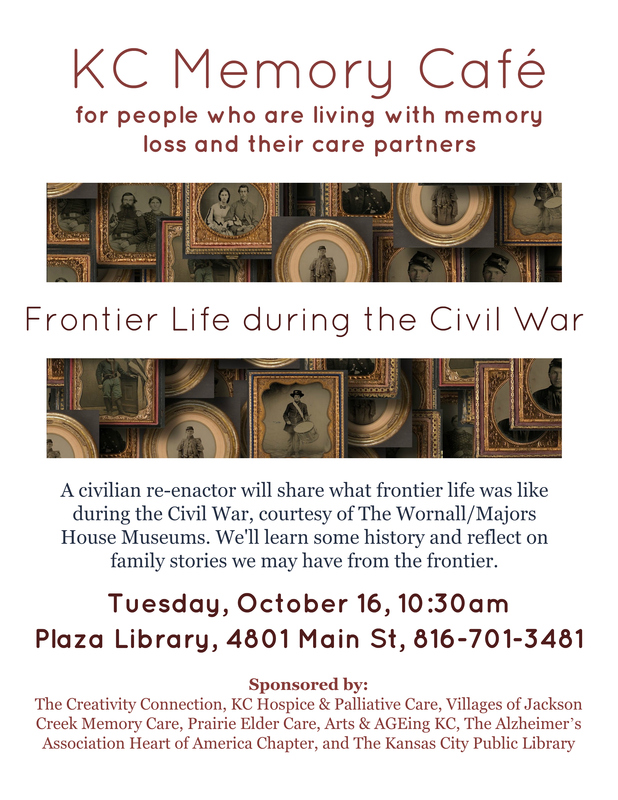 A re-enactor from The Wornall/Majors House Museums will share what frontier life was like during the Civil War. We'll learn some history and reflect on family stories we may have heard about the frontier. Refreshments provided. Memory Cafe is a program for those who are living with memory loss and their care partners. For questions, contact Emily Cox at emilycox@kclibrary.org or 816-701-3763.